For the latest instalment in Ace Records’ long-running and critically acclaimed By The Bayou compilation series, compiler Ian Saddler returned to South Louisiana and East Texas where he compiled Rhythm ‘N’ Bluesin’ By The Bayou-Livin’, Lovin’ and Lyin’ which is the sixth volume of downhome R&B. It features another twenty-eight tracks from labels like Ron, Feature, Excello, Goldband, Hollywood, Rocko and Flip. The music these labels recorded and released provided the soundtrack to juke joints along Route 90, and got the party started across South Louisiana and East Texas. 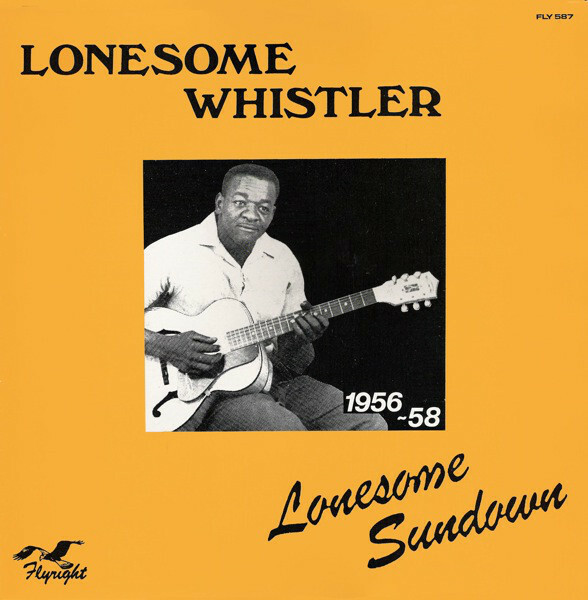 From New Orleans, in the East, to Lake Charles in the West, black Americans danced to Cookie and The Cupcakes, Van Preston, Lonesome Sundown, King Karl, Charles Sheffield, Tal Miller, Eddie Williams and Little Nolton. They’re just a few of the names on Rhythm ‘N’ Bluesin’ By The Bayou-Livin’, Lovin’ and Lyin’. This includes contributions from familiar faces, new names and a couple of mystery recordings on Rhythm ‘N’ Bluesin’ By The Bayou-Livin’, Lovin’ and Lyin’. Even Ian Saddler with his encyclopaedic knowledge of South Louisiana and East Texas’ R&B struggled to discover the identity of two tracks. This include two singles recorded for JD Miller, Love Me Chile and Won’t Be Blue No More. They’re among a number of hidden gems that feature on Rhythm ‘N’ Bluesin’ By The Bayou-Livin’, Lovin’ and Lyin’. I Keep Crying which was penned by Eddie Shuler, George Khoury, Huey Thierry. 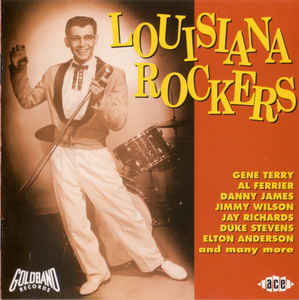 However, this Eddie Shuler composition wasn’t released until 1994, when it made its debut on the Ace Records’ compilation Louisiana Rockers. 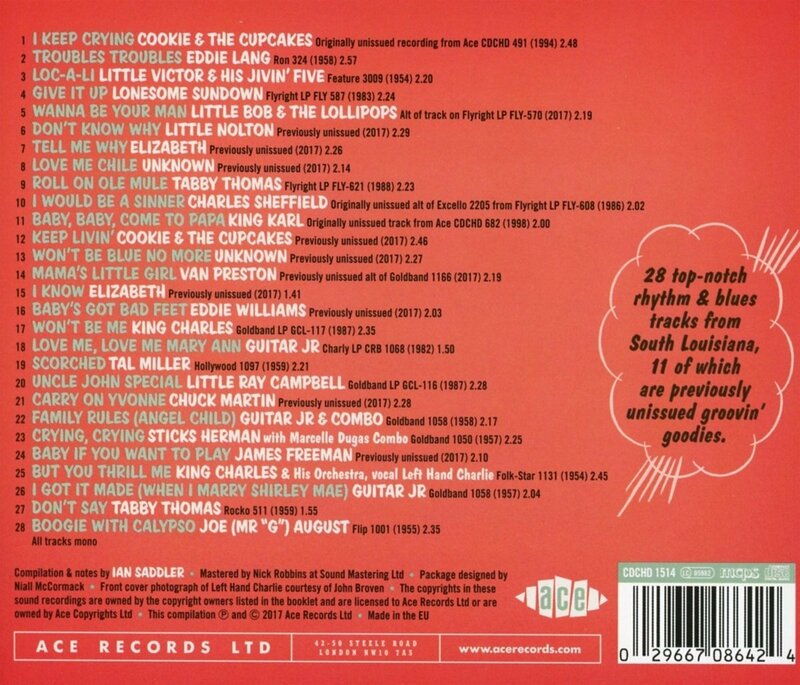 Cookie and The Cupcakes’ other contribution is Keep Livin’ which was written by Clarence Garlow and Eddie Shuler took charge of production. Sadly, Keep Livin’ has lain unreleased and this hidden gem makes a welcome debut on Rhythm ‘N’ Bluesin’ By The Bayou-Livin’, Lovin’ and Lyin’. Cornelius Green was better known as Lonesome Sundown, and is another veteran of the By The Bayou series. He contributes Give It Up, which first featured on the Flyright Records compilation Lonesome Whistler 1956-58 which was released in 1983. Give It Up features one of Louisiana’s top bluesmen at his best, and is one of the reasons why Lonesome Sundown was belatedly inducted into the Louisiana Blues Hall Of Fame. Very little is known about Little Nolton who recorded Don’t Know Why for Eddie Shuler. However, the song was never released and since then, has languished in the vaults. Not any more, as Don’t Know Why makes its debut, and showcases Little Nolton’s needy vocal full of heartbreak and pain. Another of the lesser known names is Elizabeth, who is no stranger to the By The Bayou series. She featured on the very first edition in this long-running series, and contributes two tracks on Rhythm ‘N’ Bluesin’ By The Bayou-Livin’, Lovin’, including Tell Me Why a piano lead blues with a vocal full of hurt and heartache. I Know is an almost jaunty blues where Elizabeth’s vocal is a mixture of power, hurt and defiance. Both tracks feature a talented singer who deserves wider recognition. Tabby Thomas was a familiar face around Baton Rouge until his passing on New Year’s Day in 2014. He contributes two tracks to Rhythm ‘N’ Bluesin’ By The Bayou-Livin’, Lovin’ and Lyin’, including the dancefloor filler Roll On Mule which featured on the Flyright Records album Hoodoo Party in 1988. The second track is Don’t Say, a glorious slice of downhome R&B which is a reminder of another musical era. Van Preston’s contribution is an alternate take of the Eddie Shuler composition Mama’s Little Girl. This tender ballad was recorded by Van Preston and The Nite Rockers for Goldband Records in 1966. However, the alternate take has never been released until it made a welcome debut on Rhythm ‘N’ Bluesin’ By The Bayou-Livin’, Lovin’ and Lyin’. Bandleader King Charles is another artist who contributes two tracks to the compilation. His first contribution is as a solo artist on the bluesy It Won’t Be Me, where King Charles takes charge of the lead vocal on a song that originally featured on the Goldband Records’ compilation Swampcats Beat in 1967. The second contribution from King Charles dates back to 1954, when he released Bop Cat Stomp on Me on Folk-Star Records. Tucked away on the B-Side is a hidden bluesy gem But You Thrill Me, which features some blistering guitar licks. These two tracks show just why blues aficionados hold King Charles in such high regard. Tal Miller released a trio singles on the Hollywood label between 1957 and 1959. The final singe was Scorched which was released in 1959, and was sure to have filled dancefloors in juke joints in South Louisiana and East Texas. Chuck Martin recorded for various producers during his career, including Eddie Shuler. One of Chuck Martin’s recording that was never released was Carry On Yvonne, which makes its debut on Rhythm ‘N’ Bluesin’ By The Bayou-Livin’, Lovin’ and Lyin’. It’s a real find, and it’s inclusion is to be welcomed. Anyone interested in the blues and R&B in South Louisiana and East Texas will enjoy Carry On Yvonne, another dancefloor filler from the truly talented Chuck Martin. When Sticks Herman With Marcelle Dugas Combo released Beautiful Doll on Goldband Records in 1957, those that bought the single and flipped over to the B-Side discovered the ballad of Crying, Crying. It’s a mixture of theatre, hurt and emotion from Sticks Herman, who recorded fifteen sides for Eddie Shuler. Blues singer Joe (Mr “G”) August, was born Joseph Augustus, in New Orleans, in 1931. He was one of the first generation of New Orleans’ R&B singers to embark upon recording careers. Later, Billy Eckstine gave Joseph Augustus the nickname Mr. G. In 1955, Joe (Mr “G”) August recorded Boogie With Calypso for the Flip label. This irresistible slice of R&B closes Rhythm ‘N’ Bluesin’ By The Bayou-Livin’, Lovin’ and Lyin’, on a high. Just like the five previous volumes in downhome R&B from South Louisiana and East Texas in the By The Bayou series, Rhythm ‘N’ Bluesin’ By The Bayou-Livin’, Lovin’ and Lyin’ oozes quality. It’s a welcome addition to the long-running and critically acclaimed series, which is complied by Ian Saddler, who has an encyclopaedic knowledge of blues and R&B from South Louisiana and East Texas. Ian Saddler has put that to good use on Rhythm ‘N’ Bluesin’ By The Bayou-Livin’, Lovin’ and Lyin’, and combines familiar faces and old friends with new names and mystery singers. There’s also hidden gems and ten previously unreleased tracks on Rhythm ‘N’ Bluesin’ By The Bayou-Livin’, Lovin’ and Lyin’ which was recently released by Ace Records. It’s a welcome addition to the By The Bayou series, which is a long running series where each volume oozes quality. 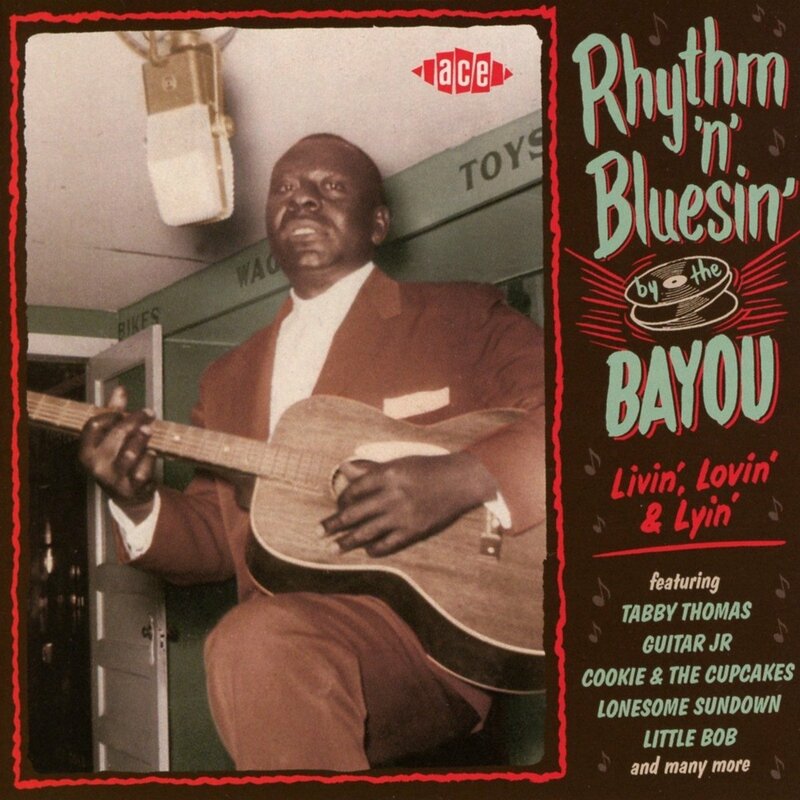 Rhythm ‘N’ Bluesin’ By The Bayou-Livin’, Lovin’ and Lyin’ is no different, and thanks to Ian Saddler’s knowledge and love this wonderful music is the best of the six volumes of blues and R&B from South Louisiana and East Texas. ← JAMES CARR-THE BEST OF JAMES CARR.